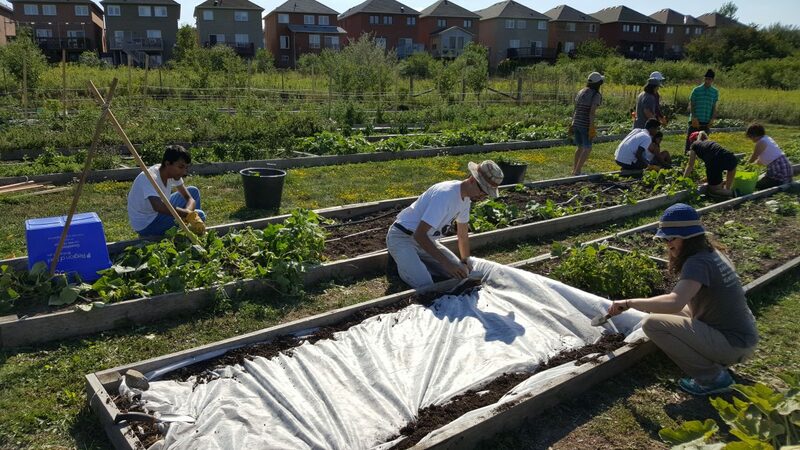 As the base of our urban agriculture programming, youth and the community work together to grow local and organic produce for food banks and our #GrownInMississauga social enterprise at the Iceland Teaching Garden. The Iceland Teaching Garden is the feature site of the Peel Local Food Literacy in Action project. It is a 15,000 square-foot urban food growing space modeled after a small-scale market garden. The site is organized as a demonstration garden in four quadrants with 4-foot wide in-ground beds and is cultivated following organic principles that focus on soil health, ecosystem well-being, and biodiversity. We employ season extension techniques to enable the production of late fall and early spring salad greens and other cold hardy crops. The garden is located along Jan’s Trail in the park behind Iceland Arena. Get Involved at our Iceland Teaching Garden! At Ecosource we believe that getting people outside and getting their hands in the dirt is an integral part of encouraging environmentally aware citizens. The Iceland Teaching Garden is planted and maintained by community volunteers and local youth working collectively. The Peel Local Food Literacy in Action project provides training and support to volunteers, as well as school field trips for local schools. Gardening workshops, planting projects, and field trips provide students, community groups, and corporate groups with the opportunity for hands-on learning about gardening, ecosystems, native plants, and environmental stewardship. They are also a great way to share a team-building, fun experience while giving back to the community. Click #GrowninMississauga to learn more about our produce and Farmer’s Market schedule. To find out about volunteer opportunities and events at the garden by checking out our events calendar. If you would like to schedule an event for your group at the Iceland Teaching Garden, contact getgrowing@ecosource.ca or call 905-274-6222 ext. 303. The Peel Local Food Literacy in Action project is made possible by the generosity of the Ontario Trillium Foundation. 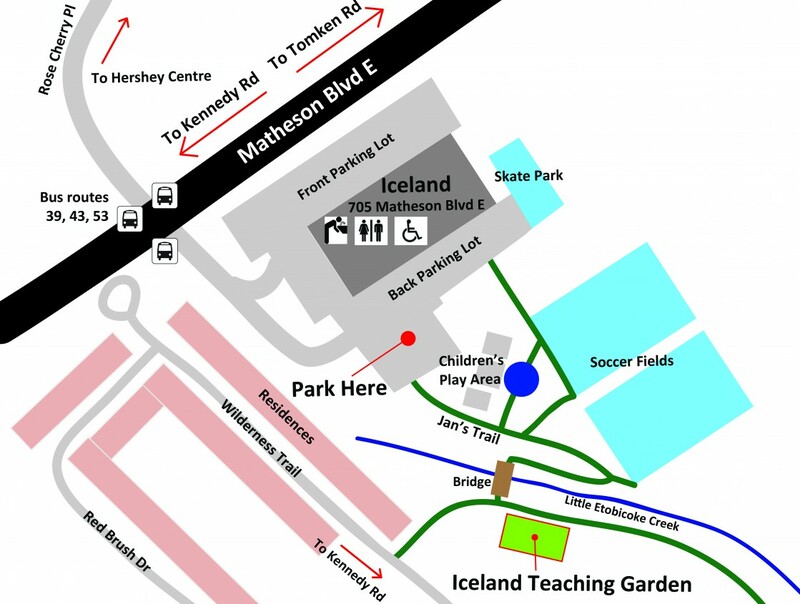 Below is the map to the Iceland Teaching Garden.